A new article The Berlin Process as an Actor in Internal Security and Counter-Terrorism: Opportunities and Pitfalls, written by Jelka Klemenc from DCAF Slovenia and Ivana Boštjančič Pulko from CEP deals with potential engagement of the Berlin Process in the internal security of the Western Balkans by focusing on the risks and regional security cooperation and reform. After four years, the Berlin process remains a sparsely documented development. There are not many studies or assessments that would provide a comprehensive view and assessment on this significant initiative. Against this setting, this policy brief is intended to fill this gap in the area of internal security. The policy brief seeks opportunities for the potential engagement of the Berlin Process in Western Balkan internal security governance, points at the risks and draws on the lessons from available experience and views of practitioners engaged in regional initiatives and other efforts aimed at regional security cooperation and reform. The recommendations offered below are focusing mostly on how to achieve sustainability of the role of the Berlin Process as a potential internal security actor. The methodology of the paper is based on identification and subsequent analysis and assessment of official declarations, joint statements, public speeches, political statements, and press releases of the main EU and WB6 institutional actors in the field. It is completed with semistructured interviews with the beneficiaries and implementing stakeholders. 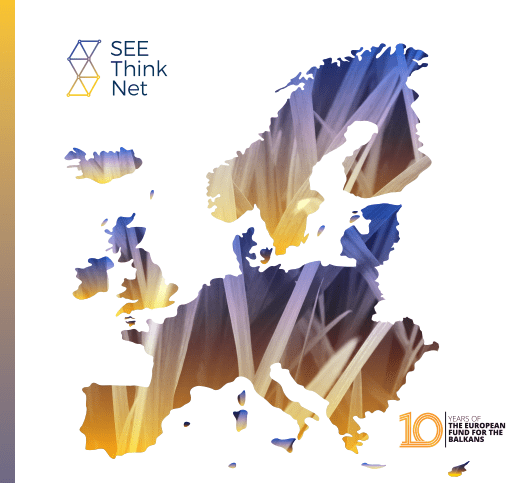 This brief was supported by the European Fund for the Balkans – a joint initiative of European Foundations, including the Robert Bosch Stiftung, the King Baudouin Foundation and the ERSTE Foundation through the 2018 Think and Link Regional Policy Programme.